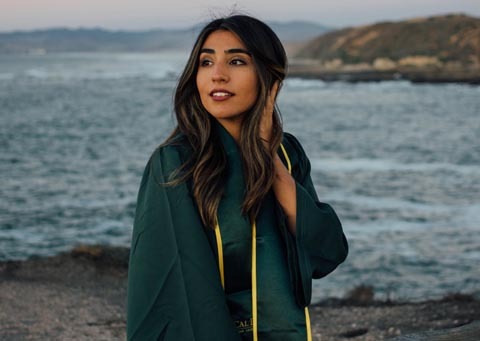 In their own words, Cal Poly students, faculty and alumni share how the year challenged them — and changed their lives for good. Last July, myself, 10 fellow Cal Poly students, and two Cal Poly professors had the opportunity to travel to Africa as part of Cal Poly’s extended education program. The purpose of our trip was to help develop an agricultural farm and propose a business plan for a children’s’ home in Kikuyu, Kenya. Throughout the trip, we were learning the ins and outs of Kenyan culture and different agricultural practices, while also teaching the locals about our own culture and practices. 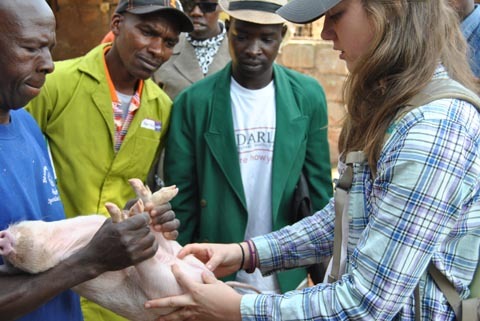 One of the most memorable parts of the trip for me was on one of our side excursions to another local farm, I had the opportunity to teach several small-scale Kenyan farmers how to castrate piglets. Something as simple as piglet processing is a skill that arguably all swine industry members in the states know, however it is not very common in rural Kenya due to lack of resources and education. This trip has inspired me to look past the normal career path of my major and explore what I can do with what I have learned from Cal Poly. Although I know I still want to earn my masters in Agricultural Education and eventually teach back at my own high school, I now want to pursue international agriculture and teach those who do not have the same opportunities that we are lucky enough to have here in the states. 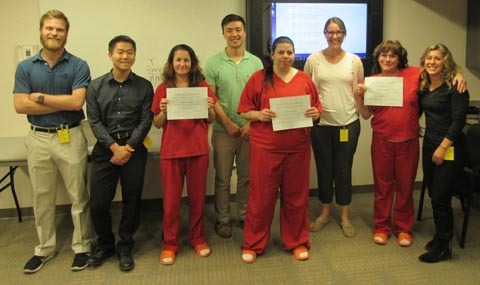 When I think about 2017, I think about how four bright and generous Cal Poly computer science students, Cassandra Hamilton, Larry Hu, Caleb Kim and Chris Moranda, assisted me in teaching an Introduction to Computer Programming course at the women’s county jail. These students generously shared their time and knowledge to bring opportunities to students in custody. The course was in the evenings for four weeks last fall. Our Cal Poly students taught basic programming techniques in the Python programming language. We had fun creating simple programs: programs that calculated a person’s weight on the moon given their weight on Earth, programs that implemented a “Madlibs” type of word game, and a paper-rock-scissors game. Our Cal Poly students worked to keep class engaging, relevant, approachable and fun for the students in custody. 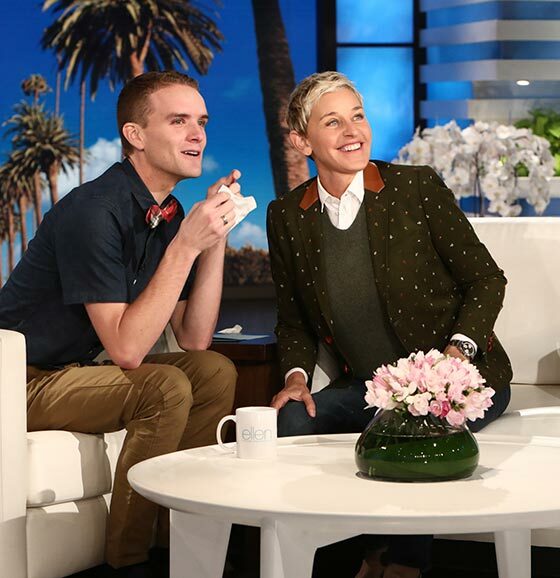 This experience made me very proud of our Cal Poly students. My oh my, the year 2017 has been one of the most challenging, eventful and fulfilling years of my life. I started Cal Poly in 2014, and the course load I took allowed me to graduate two quarters ahead of schedule, making 2017 my senior year. It was very difficult to remind myself constantly, “Roya, don’t forget, this is your SENIOR year, seize the day!” The beginning of 2017 propelled me into true “adulthood” as I turned 21 in January. Turning 21 gave me a renewed sense of confidence that I had lost earlier in my college career. While the year was nowhere near easy, through balancing three jobs and a full course load (plus, you know, a social life,) I have no regrets. I have made so many new connections with people that I know will stay with me into the years ahead. The Cal Poly community I have made throughout my three and a half years is everything I could have wanted out of college. I have learned more than I ever thought possible, both inside of the classroom and out. Thank you 2017, you have truly been a pleasure! The biggest thing that happened to me in 2017 was getting one of my photographs published in Glamour magazine and on its website. I was given an opportunity to enter four photographs of college women to Glamour magazine by my photography Professor Sky Bergman. 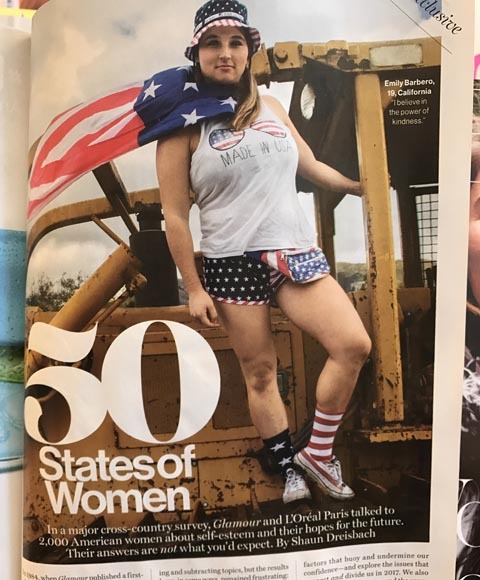 The photograph of my roommate Emily Barbero, a junior at Cal Poly, was chosen to be the lead photo in the September print magazine for an article titled “50 States of Women” and was featured numerous times on glamour.com and the magazine’s Instagram. My photograph was chosen to represent the State of California. As I am an art and design major with a concentration in photography, this was a great honor. I got to see my photograph in print, online, and I got paid! Thank you to Cal Poly and my professor for giving me the opportunity to Learn by Doing. 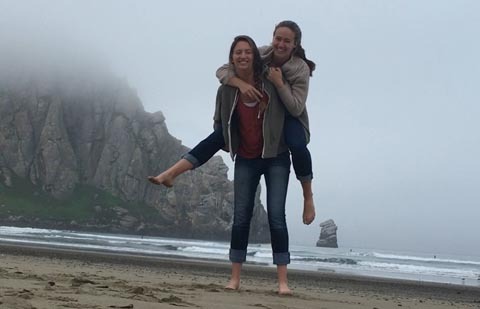 This past year, I was so lucky to have gotten to spend a year at Cal Poly with my sister Megan (Liberal Studies, ’17) before she graduated in spring quarter. With both us growing up in a family of Mustangs, including our mom Dawn (Recreation Administration, ’88) and dad Daren (Mechanical Engineering, ’89), Cal Poly is our home away from home. I couldn’t have asked for a better first year at Cal Poly and getting to spend it with her! 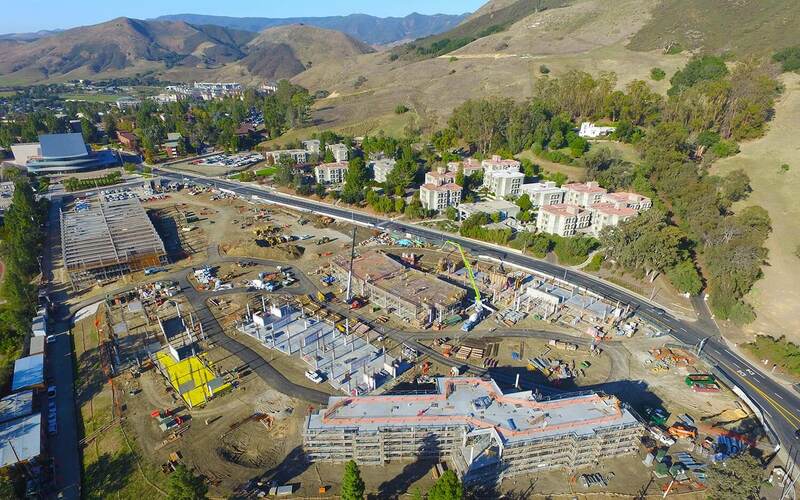 On May 15, 2017, something extraordinary happened, and it changed Cal Poly, the surrounding community, and the world for the better. Standing atop unfinished new construction on an unseasonably cold, cloudy day, a small crowd heard the Northern Chumash language spoken for the first time in 100 years — elewexe, tiłhini, tsɨtpxatu, tsɨtqawɨ, tsɨtkawayu, tšɨłkukunɨtš, and nipumuʔ — the village names that Cal Poly will use for its new residence halls next year. 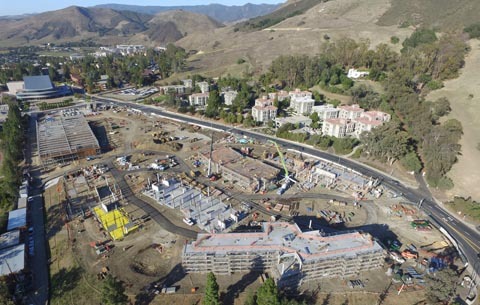 For Cal Poly, the move was inspired by a desire to honor the first people of the region and to educate the campus. For the Chumash, it’s one part of a much bigger language revitalization effort. Hearing tʔɨnɨsmuʔ tiłhinktityu (Northern Chumash language) has been the best part of my 2017 at Cal Poly. Since the naming, my linguistics classes have been reawakened by students’ genuine interest in learning how to say and spell the names and what they mean and educating their peers — truly learning by doing — to raise awareness about linguistic diversity and the region’s Indigenous inhabitants. 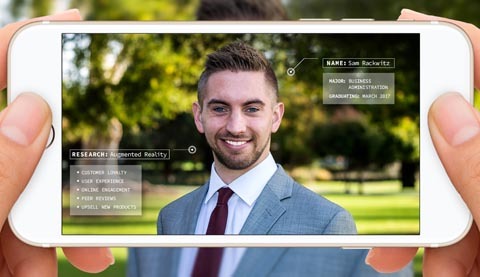 When marketing Professor Jo Scholz offered a rare senior project focusing on augmented reality (AR), I jumped at the opportunity. The project allowed me to work closely with Professor Scholz, a colleague in the UK, and Rachel Gasparini (Journalism ’17) — an amazing marketer that became one of my closest friends at Cal Poly. From the start of the research, it was clear that the project would become a defining moment in my college career. AR is expected to have a massive impact on marketing disciplines, especially for the retail industry. With Professor Scholz’s guidance, our team researched how branded AR apps fit into the puzzle of touchpoints that affect consumer decision journey — from in-store environments and sales associates, to online product reviews and social media. To tackle this puzzle, we focused on the makeup industry to understand how retailers, such as Sephora, improve customer experiences with AR apps. Over the course of seven months, we lived and breathed research. Each of us collected and analyzed immense amounts of ethnographic data and became one with the library. I conducted in-depth interviews, observed consumer behaviors with the team, and read through hundreds of pages of interview transcripts to find common themes within the data. We found that no single touchpoint acts as a one-stop shop for consumers’ needs. Interactive apps provide unique value to consumers when developing their makeup styles, and it can even make other touchpoints in-store and online more useful for consumers. At the start of the research, I was a newcomer to AR, and I stayed close to the cologne display in Sephora, as it was the only spot in the blindingly colorful store where I did not feel clueless. Now, I understand how AR can be implemented in marketing strategies to improve customer experiences. Contributing to an academic paper targeting world-renowned marketing journals was an incredible experience. The team’s work got accepted to the Academy of Marketing Science conference, and I am excited to meet with some of the brightest minds in marketing research at this event in spring. I will graduate from Cal Poly in March 2018 with an experience for which I will forever be grateful. I will graduate as a co-author for a cutting-edge paper alongside lifelong friends, and my greatest mentor at Cal Poly. Starting work at SLODOCO in 2017 was a major change for my experience here at Cal Poly and in San Luis Obispo. 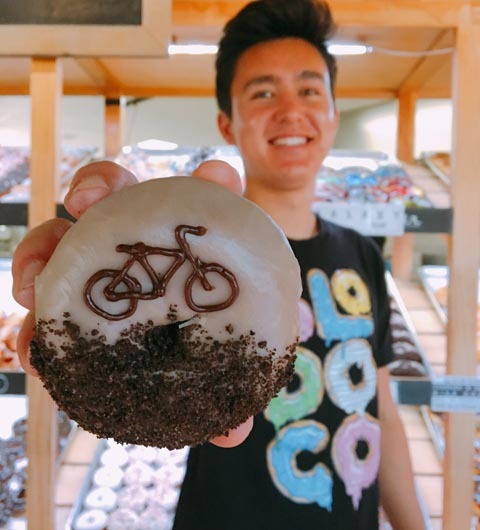 I’d always thought it was the coolest place in town, but I never thought that I’d have a chance to walk around behind the counters and serve donuts to people. The atmosphere in the back with all of the managers, bakers and front staff was constantly filled with a ton of laughter. People with different shifts would overlap, making it so everyone knew each other. Social gatherings were constant, and everyone has such unique personality that it brought yours out too. Ultimately it changed my outlook on how I talk to people. Not to mention that since working there, I’ve literally been waved at in the streets by people I don’t recognize, and I’ve even had little kids outside of work come up to me who have ideas for donuts. I still think of it as the coolest place in town, and it’s even better now that it’s accompanied with a kind of “homey” feel to it. The people that I’ve worked with there are the ones I’ll know the rest of my life. I love all those donut-slinging people! Last year, Cal Poly Physics Department faculty Nathan Heston, Nik Glazar and myself mentored 18 students to innovate technology using Direct DC Solar (DDS) energy, an inexpensive solution that has the potential to change global energy usage. Our work has yielded a spectrum of meaningful results. We published research with the 11 students who, over two years, developed Insulated Solar Electric Cooking (ISEC) ovens and collaboratively implemented it in Uganda with the nonprofit Aid Africa. In October, students Adeel Ali, Madeline Larkin, Nicholas Crawford and Joshua Dimaggio attended the American Solar Energy Society Conference in Denver with myself and Professors Heston (pictured), presenting three talks and four posters. In November, industrial technology student Madison Fleming presented our cookers at MIT’s Women in Clean Energy Symposium, winning first place among presentations from graduate students. We also partner with PG&E-supported We Care Solar program to bring electricity for lights and cell phones to the global poor. 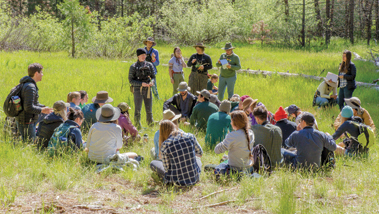 The program entails developing a curriculum for Cal Poly students to teach local elementary and high school students about solar electric technologies as well as about the lives those outside of the United States. As we continue developing the technologies and build a collaborative business model for dissemination, we plan a summer 2018 trip to Africa to learn more about how people live there and collaboratively implement DDS technologies. 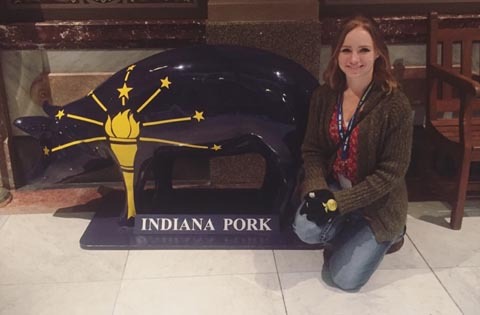 This year, I attended the 90th Annual National FFA Convention in Indianapolis, Indiana in October with Cal Poly’s College of Agriculture, Food and Environmental Sciences. While there, I also had the opportunity to serve as a judge of the National FFA’s Nursery Production Proficiency Awards and attend several leadership sessions at the convention itself. I had never been that far east before! I had a great time meeting FFA members from across the country, learning more about how I can become involved in the FFA as a college student and future educator, and exploring the state capitol. This has become one of my favorite stories to share with people when they ask me about my time at Cal Poly because it shows just how dedicated the school is to providing its students with many different opportunities to learn and grow. Perhaps the biggest “thing” that happened to me in 2017 was the coming together of hundreds of faculty and staff to create the #MustangsUNITED and Love, Empathy, Respect campaign. As a collective, we wanted to use a visible message of inclusivity and let our students know that we truly care about them. We were moved to begin this visible inclusivity campaign after multiple incidents of hateful expression appearing on and around campus. 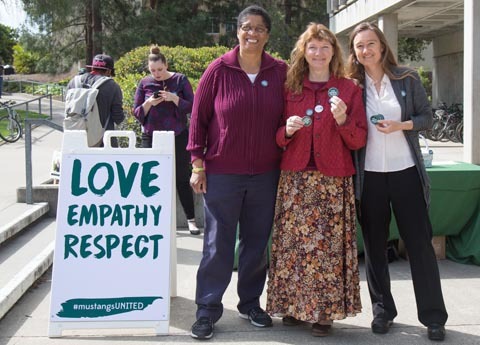 We had two inclusivity outreach events in front of Kennedy Library in spring quarter 2017 and have worked closely with departments and programs around campus to share buttons, magnets, stickers and door cards with the Love, Empathy, Respect image. It’s also important to note that the image was designed by a Cal Poly undergraduate student! 2017 was a year marked by unbelievable progress toward the promotion of the student voice within the San Luis Obispo community. From June 2016 to June 2017, I served as the Cal Poly ASI Secretary of Community Relations as an appointee of ASI President Jana Colombini. I was tasked with a yearlong initiative known as “Flex Your Rights,” which was a campuswide push to register students to vote. In collaboration with the previous ASI chief of staff, we were able to register the greatest number of voters on any university campus in California, ranking No.10 in the U.S. This campaign empowered Cal Poly students to collectively use their influential political voices in the previous local, state, and federal elections. In April, I was appointed to the San Luis Obispo City Human Relations Commissioner by the SLO City Council. 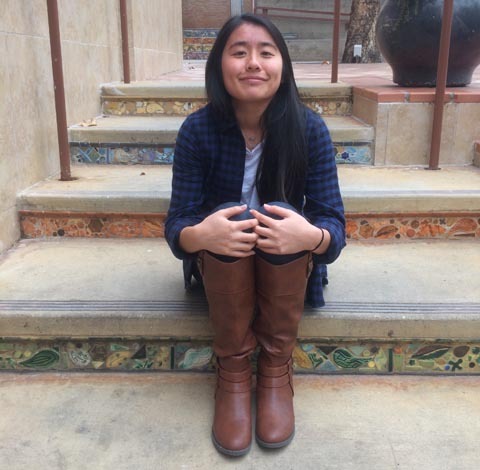 As one of the only Cal Poly students fortunate enough to participate in local city government, I am able to offer a unique perspective on equity-based issues on a citywide level through the Human Relations Commission (HRC). 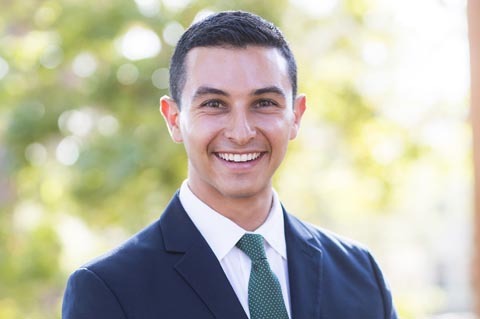 The HRC has allowed me to change how Cal Poly students are viewed on a citywide level and has also allowed me take part in holistically improving the lives of all San Luis Obispo city residents. 2017 has been a year full of love, happiness, and pure joy! In March of 2017, my best friend asked me to marry him. Kyle and I met in the dorms and have been dating since our freshman year at Cal Poly. We have experienced many adventures together, one of them being our graduation in the fall of 2017. Cal Poly has provided us with more than just a degree, but a lifetime filled with bliss. We both have tackled new challenges, finished senior projects, and completed our college education in 2017. Even though we’ve had some pretty major accomplishments, our biggest achievement this year is choosing to love each other for the rest of our lives. We have met some incredible friends at Cal Poly through our classes that have supported and encouraged us through this year. We could not be more thankful for all this year and Cal Poly has offered us. Although it will be hard to top, we are excited for the new adventures that await us in 2018. When everybody around you strives for perfection, that is naturally what you gear towards too. Falling into this trap, almost, was an awakening for me last year. I decided to take on a challenge and face probably the toughest quarter I’ve had during my time at Cal Poly. Maybe my grades were better than they were in my past quarters, but I’ve come to realize that it wasn’t worth it. I was so stuck on finishing these classes with perfection that everything else was basically crumbling beside me. I wanted A+ on every exam, 10/10 on every quiz, 100 percent on every homework assignment. I was so focused on these numbers, that my “grades” in terms of my relationships with people were trash. I love that I am amongst such bright, ambitious individuals, but that constantly makes me think, “Wow, well if they can do it, so can I right?” I realized that we all have our own limits, and someone else’s achievement doesn’t make us a failure. We have different strengths, but it’s also important to embrace our weaknesses. We are all made to be different so it’s no wonder perfection should also be different in our eyes than the person next to us. 2017 was a big year for me, but the most important thing I accomplished started off as a nightmare for many. On the night of Sunday, October 8, wildfires began that would devastate Northern California. The wildfires moved quickly and mercilessly through several communities, destroying more than 6,800 structures and taking the lives of 22 people. My phone was inundated with messages from close friends that I had made during my undergraduate studies at Sonoma State University. Reading through my friends panicked messages and being roughly 300 miles away, unable to comfort them, was the most helpless I have ever felt. Later that week, I was sitting in class talking to my classmate about the fires. That’s when I had an idea: Why not start a small drive to help those who lost everything? 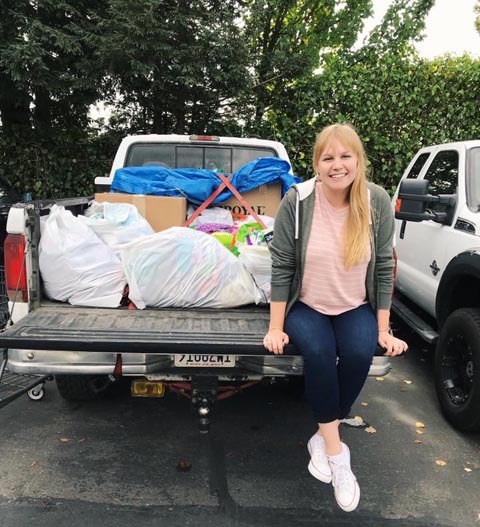 During a class break, I quickly posted on social media that I would collect donations of clothing, food, and other household items to take up to the evacuation shelters the following week. Each day for the week that followed, I would come home from school to find boxes of food and clothing on my porch. Classrooms at Sinsheimer Elementary School even contacted me with sweet letters and handmade cards to take to the shelters and firefighters. Early morning on October 20th, my brother Logan, my boyfriend Tyler, and I brought our donations to the Finley Community Center in Santa Rosa, which was converted into an evacuation shelter. FEMA, the Salvation Army, and the National Guard all were tending to the masses of displaced people who were seeking shelter and food. Being inside that shelter was a weight I had never felt. The emotional heaviness in the room nearly brought me to tears. The first person I approached was an elderly woman in a wheelchair sitting alone at a long table and picking at something that resembled spaghetti. When I handed her the sweet card, she burst into grateful tears. Everyone was just so grateful for a sweet, likely misspelled message from a child. It was a chance to escape their reality for a moment and laugh at a silly drawing and message of love. I found a family with children who were sitting in a zombie-like daze from lack of sleep and severe trauma. The children had too much sorrow in their eyes for their age, but the second I handed them a card, they smiled and instantly became playful, wanting to read every card I had. By the time we left, we had donated over 30 boxes and bags of clothing, food, toys, and household items and passed out over 40 cards and letters. I was so touched by the San Luis Obispo community for rallying to send so many items so far north. But mostly I was inspired by those I met at the evacuation center. The best thing I have done this year was to bring some joy to those who have lost everything. The saying I heard the most during my trip up North was “the love in the air is thicker than the smoke.” Now that the smoke has cleared, we need to keep filling the air with love and support as long as it’s needed. Re-establishing Cal Poly’s Speech Team was incredibly memorable last year. 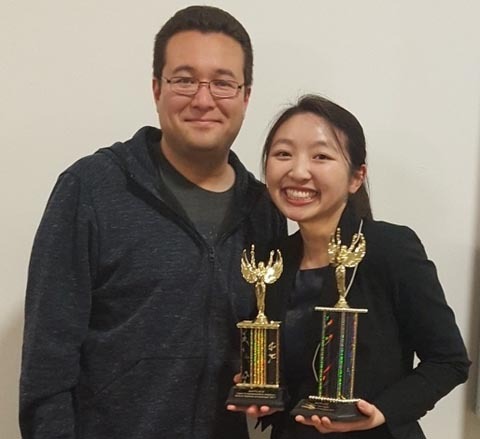 After many trials, the culminating experience was my participation in the 2017 Robert Barbera Collegiate Forensics Invitational at CSU Northridge in November. The pool of contestants consisted of 24 schools and 233 entries total across 11 events. Although I entered the Communication Analysis category as a novice, I competed in the open section against more experienced students and placed third on both days of the swing tournament for the event. In the Novice Impromptu category, I placed second on the second day of the tournament. I learned that the only limits are the ones that you set yourself, and that achievements are never accomplished alone. I could not have done it without the support from my professors and my family. 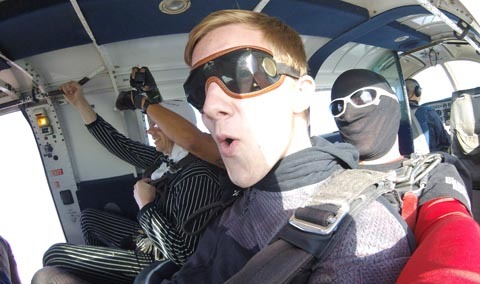 The day before I left for Cal Poly to kick off my sophomore year, I made a spontaneous decision to spend that time with my father 15,000 feet in the air while skydiving! 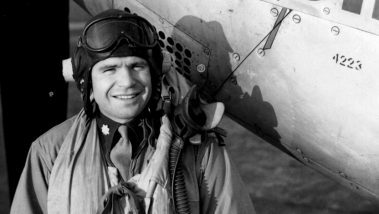 The feeling of weightlessness gave me an incredible rush; it was so exciting to see the horizon around Hollister, Calif., doing tandem twirls, and flips in the air — all while dressed as BATMAN. Spending this last day of my summer with my father really put into perspective the importance of family. I realized after this that the sky isn’t the limit (pun intended), and it pushed me to seek leadership and excel in my commitments at Cal Poly. Last summer, I lived in a van to work on my startup. 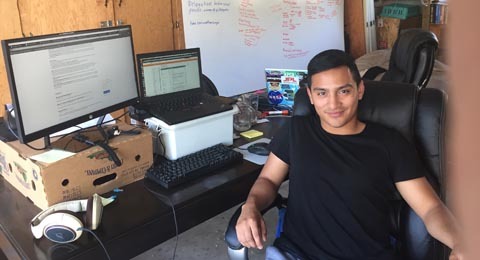 After completing an internship at NASA Jet Propulsion Laboratory in early 2017, I worked with my cofounders to develop a virtual recruiting product for mid-sized companies to recruit talent out of Cal Poly. 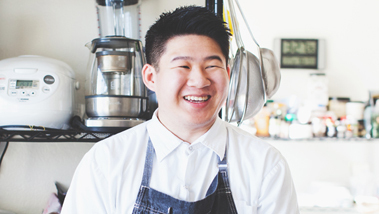 Because we had early success with established clients, I decided to forego a summer internship to pursue my entrepreneurial journey. I lived out of a van in San Mateo to keep expenses low and agility high. After spending summer working on our new product, acquiring customers, and learning from our mentors, we launched our startup at the beginning of fall quarter. Our first big test was a virtual recruiting session with Deloitte Consulting. I remember that day vividly: 300+ students online, Deloitte Consulting representatives awaiting to view our product in action, and then … nothing. Our software crashed. It was one of the most embarrassing moments of my life. We had made many mistakes in our software development process, and I had nobody to blame but myself. In the following weeks, I got kicked out of the garage I was living in because of city protocol. I ran out of money. Our team lost morale. I remember asking myself if I should I drop out of Cal Poly and go home. But my team carried me on. On one fateful day, I walked into Cal Poly’s Fall Career Fair and met an Apple recruiter. I received an email the next day to interview for an Engineering Program Management internship on Apple’s Special Projects Group. After a series of interviews, I landed the offer. My team had supported me every step of the way. Special thanks to Kris Welch, Jose Samperio, Joe Applegate and Mike Applegate. The year 2017 was definitely a memorable one for me. As a senior, I’ve been thinking more frequently about what I want my “Mustang Legacy” to be when I leave this institution. 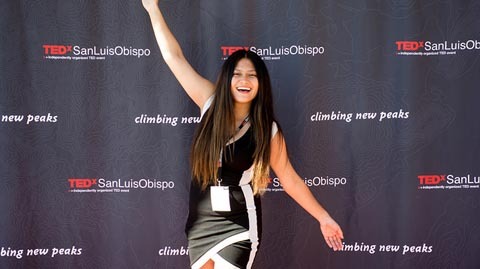 I am fortunate that one of these is experiences was helping create the student-led, student-run organization TEDxSanLuisObispo as its director of finance. From the expectation that it was a way for students and the community to spread “ideas worth sharing,” it has grown into an outlet for students to showcase their talents and passions with interested audiences. It is truly remarkable to have worked with talented students in a cross-disciplinary project that emphasized teamwork, diversity and diligence. I am fortunate to be able to contribute to the experiences of future Mustangs by serving in my third year of being a Resident Advisor and being voted into the ASI Board of Directors for the Orfalea College of Business. These leadership opportunities allowed for me to engage with students of various backgrounds and remove barriers that get between them and their potential for student success. As I reach the end of my time at Cal Poly, I don’t think I will know what my Mustang Legacy will be. I do know I am thankful for the opportunities and relationships the campus has provided me as a first-generation college student who has accepted her first job offer as a treasury analyst for Workday, Inc. Because of Cal Poly, I am confident in my “unlimited possibilities” and the impact I want to make in this world. In 2017, I felt so proud and grateful to become one of Cal Poly’s Honored Alumni. When I was a student, Cal Poly nurtured my curiosity and gave me practical tools to apply in the business world. It helped me understand that businesses can change the world for the better and that great leadership matters. As I’ve gained valuable business experience I’ve felt a sense of responsibility to share it with the intention to make our industries better. This is such an interesting time to be in business. In my own company, Simplicity Consulting, and in my work with others, I noticed a major difference in the way talented professionals want to work today. Flexibility and freedom were now essential to the equation. For many, the idea of work expanded beyond a full-time, 9 to 5 job to accomplishing specific projects that make an impact. I wrote about this in my book, The Talent Shift, and I can tell it’s resonating with the next generation of students I have the privilege to mentor at Cal Poly. Serving on the Orfalea College of Business Dean’s Advisory Council for the past few years has reignited my zest for learning: I learn as much from the students as they claim to learn from me. 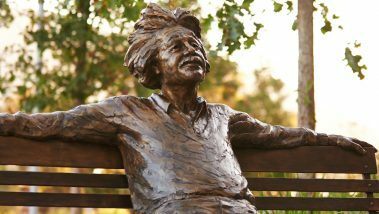 I firmly believe Cal Poly’s Learn by Doing philosophy is exactly what the business world needs now to develop the next generation of world-class business leaders. 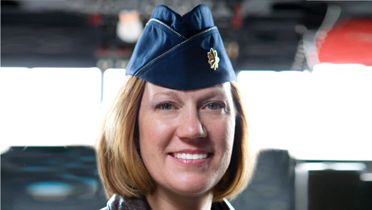 As an Honored Alumna, I’m proud to bring that attitude with me, just like thousands of my fellow Mustangs around the world!